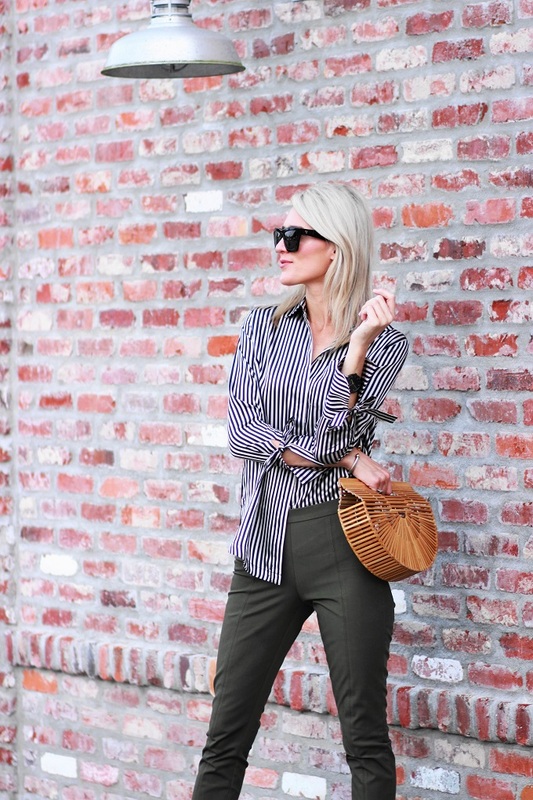 Stripes will always be a print I love, no matter the size or color. They're classic, sometimes quirky, and always on-trend. This shirt from Banana Republic's latest arrivals was an instant fave for me. I mean, c'mon y'all ... what's not to love? 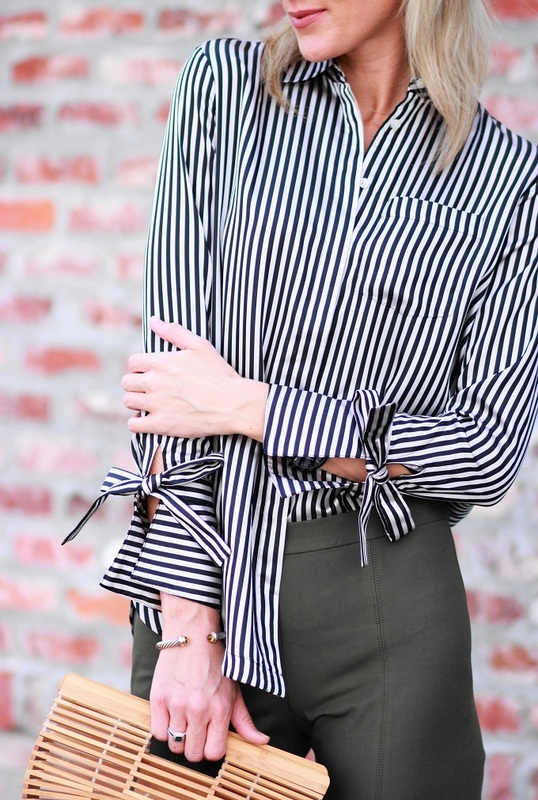 Bows, stripes, and a beautiful silky fabric. I love the longer, tunic-style of this shirt too. It looks just as fab when kept completely un-tucked. Think effortless and perfectly undone. These bi-stretch leggings are the perfect pairing. 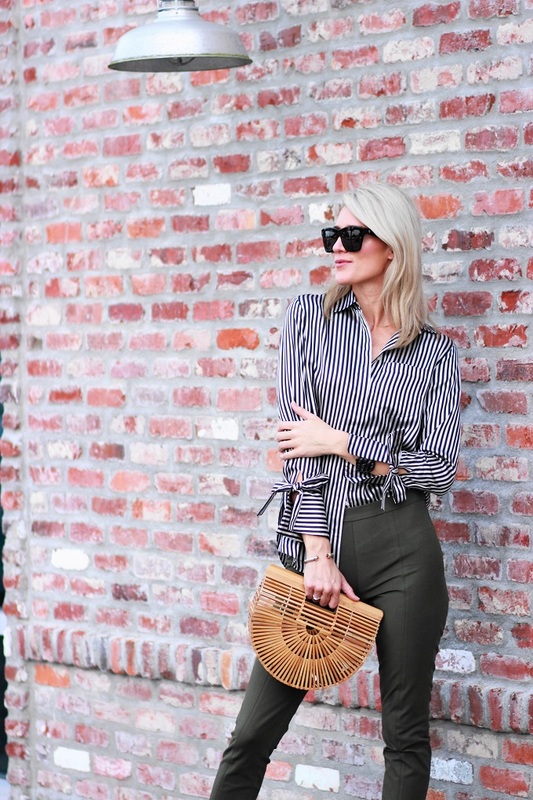 I love olive green ANYTHING... it's one of my fave neutrals to wear. I also love the military-inspired influence it gives. The feminine fit juxtaposes the other-wise tomyboy-style hue, making these the perfect balance of tomyboy and chic. 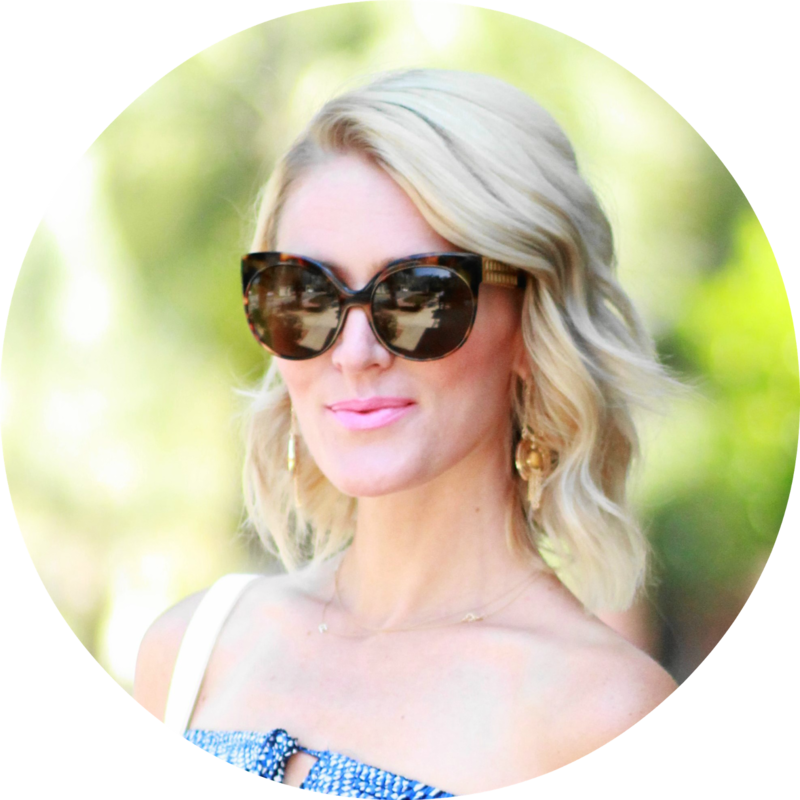 I finished this look with minimal heeled sandals and my go-to bag for spring and summer (p.s. I linked to more affordable options below). 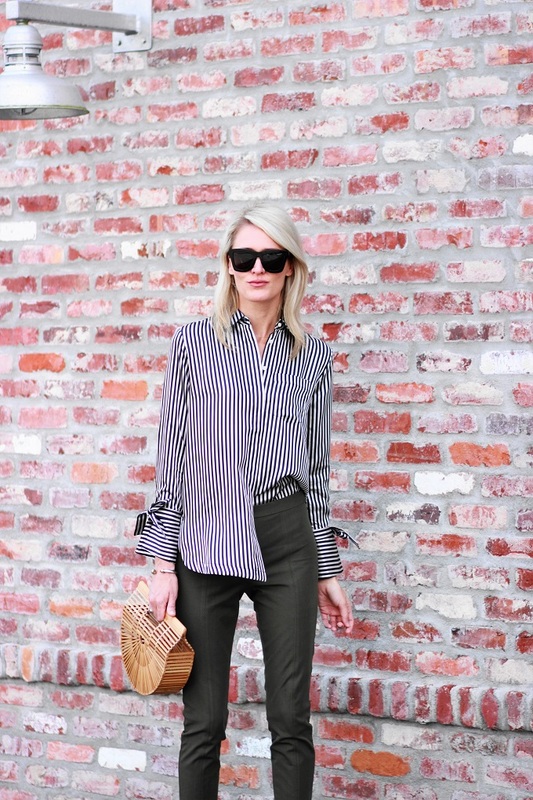 My look is relaxed, yet pulled together and totally appropriate for the office and/or drinks after work! 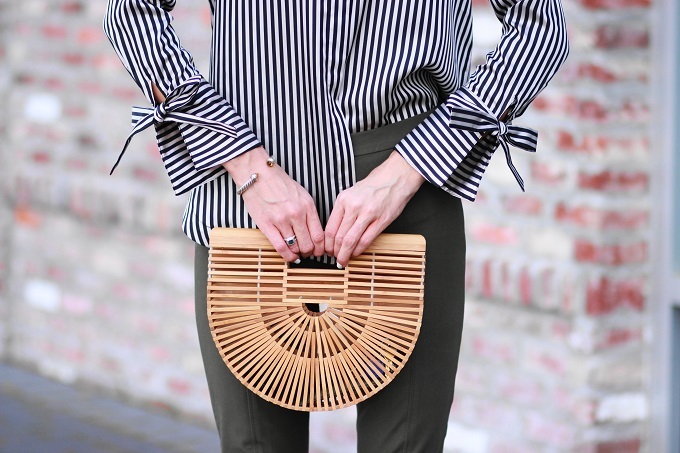 Great stripes in this very elegant spring outfit!